For-profit health insurance companies are descending upon Minnesota, where changes in state and federal law have opened up new opportunities for these insurers to stake out a lucrative piece of the industry. UnitedHealthcare and the Aetna-Allina Health joint venture are both expanding insurance products in the Medicare Advantage and employer markets in Minnesota—a state largely dominated by not-for-profit payers. At least one of them has its eye on the managed Medicaid market as well. To some, the influx of more for-profit plans in the state adds welcome competition to an already competitive market. But others are wary of the shift and are cautiously watching to see if the profit motive will endanger Minnesota patients. For-profit companies' interest in the Minnesota insurance market is being driven by two recent changes to state and federal law. For nearly five decades, Minnesota had barred for-profit insurers from operating as health maintenance organizations in the state, but a law passed in January 2017 allows for-profit HMOs into the market starting in 2019. A few months later in May 2017, Minnesota Gov. Mark Dayton addressed some concerns by signing into law a two-year moratorium blocking the state's not-for-profit HMOs from being sold to for-profit companies. To be sure, there are plenty of for-profit insurers in Minnesota—even the nation's largest health insurer, UnitedHealth Group, has its headquarters there and employs 18,000 people in the state. But until recently those for-profit insurers were not able to be licensed as HMOs in the state. An HMO is a type of insurance plan with its own network of doctors and hospitals who have agreed to provide services for a set payment amount. Minnesota is the only insurer that restricts HMOs to not-for-profit companies. The change to its long-standing rule came as an add-on to a larger package meant to lower individual insurance premiums in the state through state-funded subsidies. Legislators who supported the change thought it might bring new competition to further drive down individual premiums for residents. Some in the state are skeptical that any for-profit insurer would want to sell plans in Minnesota's very small ACA exchange market of just over 100,000 members. But for-profit insurers in 2019 will be able to operate Medicare Advantage HMOs. Even more enticing, for-profit insurers could potentially win a piece of Minnesota's Medicaid managed-care market, which serves more than 1 million members. That market has long been limited to HMOs. Minnesota in the next few years will likely go into a new Medicaid managed-care procurement, said Allan Baumgarten, an independent healthcare analyst in the state. But there's something else at work: A change in federal law will eliminate Medicare Cost plans in most Minnesota counties by the end of 2018. Medicare Cost plans are a type of insurance that shares characteristics of Medicare Advantage and Medicare supplement plans, but is reimbursed differently from an Advantage plan. There are 630,000 people enrolled in Medicare Cost plans nationwide, and about 370,000 of them live in Minnesota. About 200,000 of these Minnesotans will have to find new coverage, and many will look to Medicare Advantage—a very lucrative and growing business for health insurers. For-profit companies are now descending on Minnesota to take advantage of opportunities in the Medicare Advantage, employer and Medicaid markets. UnitedHealthcare is poised to offer Advantage plans in the state starting next year, pending regulatory approval. It hopes to sell the plans in nine counties around the Minneapolis-St. Paul metropolitan area, as well as in Duluth. It will also offer employer-sponsored plans to fully insured companies. It is busy setting up contracts with hospitals and health systems in the state, including Mayo Clinic and Fairview Health Services. UnitedHealthcare of Minnesota CEO Philip Kaufman also said the company is evaluating opportunities in Medicaid managed care. Historically, UnitedHealthcare served large self-funded companies with workers in Minnesota. 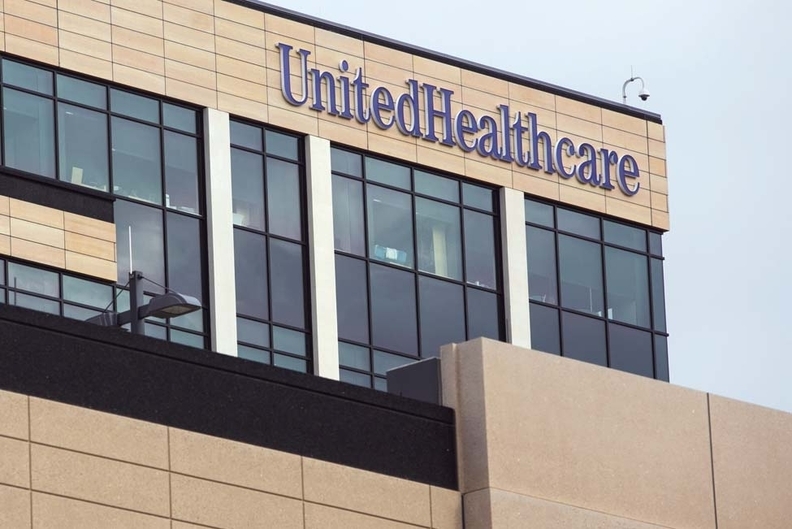 Both the ability to operate as an HMO and the sunsetting Medicare Cost plans are factors that drove UnitedHealthcare to expand its business in Minnesota, Kaufman said. He added that the ability to expand its employer business in the state was also a significant factor. "We see an ability to bring an additional competitor in the market as a significant positive," he said. The joint venture health plan between Aetna and Allina Health, announced late last year, is another for-profit company expanding in the state. The Aetna-Allina company is offering plans to fully insured and self-insured employers starting early this year. It also going through the regulatory process to offer Medicare Advantage plans next year. Most sources agreed that the new for-profit insurers would inject competition into Minnesota's insurance markets and potentially bring down costs for consumers. Jim Schowalter, president of the Minnesota Council of Health Plans, which represents not-for-profit insurers including Medica, HealthPartners, Blue Cross and Blue Shield and others, said new competitors in the insurance aren't a concern for his members, so long as the hospital and drug manufacturers remain competitive as well. "Individual companies grow or shrink based upon new products and competition, and our members have competed with each other and for-profits for a long time," he said. "What's important is affordability and stability for individuals and to continue to find ways to slow down medical bills. Competitive insurance is part of it but not the whole answer." But he said it's unclear how the shift to Medicare Advantage from Medicare Cost plans in the state will affect consumers. Medicare Cost plans worked well for Minnesotans, the council said. Others in the state worry that for-profit insurers would put profit motives ahead of consumers' best interest. Lori Swanson, Minnesota's attorney general, suggested in the Star Tribune in May 2017 that lifting the ban on for-profit HMOs without putting into place certain protections could lead to large corporations swallowing up the not-for-profits in the state. Rick Kes, a senior manager with audit and consulting firm RSM, argued that "most states in the U.S. have for-profit health insurers and have had success in improving outcomes in the health of the communities they're in. Time will tell whether or not this influx of for-profit health plans will negatively or positively affect Minnesotans."